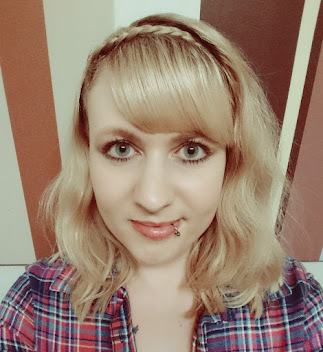 Louise's Creative Corner: News, Freelance Website, Wakefield Literature Festival Event and New Books. News, Freelance Website, Wakefield Literature Festival Event and New Books. I have some exciting news to share with you all today, I am officially enrolled to begin university in January 2017! I will be studying for a degree in English Literature and Creative Writing. After completing an array of different courses in creative writing, proofreading, editing, fantasy writing, blogging, and marketing, I decided that it was time to take the final leap. I have dreamt about going to university for a very long time now, and I really thought that my time had passed, that I was too old, and that it was generally too late for me. But, the thing is, it's never too late! Even though I'll graduate at the age of thirty-six, I couldn't be happier. So, take it from me, you're never too old! 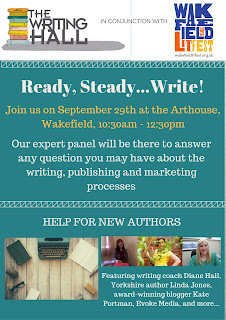 On another note, this year's Wakefield Literature Festival events have been announced, and I'm on the bill! I will be taking part in the 'Ready, Steady, Write' event, which will consist of a Q & A panel of self-published authors, traditionally published author, poetry expert, proofreading and editing expert, marketing and PR, and publishing in general. In the world of writing, I'm still currently working on my debut fantasy book - The Warlock, as well as Heaven's Curse, which I shared information about a while ago. The cover design is complete for Heaven's Curse and has been retitled Heaven's Curse Worlds Apart. I'm really excited about these two books, as I have been working on both for a while now, and I can't wait to share them with you. But, until then, here is the updated blurb for Heaven's Curse World's Apart, followed by my second attempt at a YouTube reading, enjoy! Since the dawn of time, the darkness and the light have gone hand in hand. Two separates of a whole that form almighty angels and dangerous demons. A war between the two has been brewing for many years since the Creator separated the good from the evil. When the demons grow hungry to dominate the middle-ground – known as earth, the angels are sent to destroy them. On middle-ground they battle as mortals, unable to use their supernatural powers by sacred law. Jophiel – an angel of heaven and Lucifer’s betrothed, and Bastian – a destructive demon from hell are left behind during the battle. Finding that they must work together in order to open the portals to return home, Jophiel and Bastian do something that is completely forbidden – they fall in love. Torn apart by their duties and their love, will they choose their own kind, or will they choose each other?